What are you searching for in life? Success? Love? Identity? Well, this term, the Christian Union are searching for answers. After the surprising success of their Christmas ‘Carols in the Castle’ event, with just over 800 people stood in the midst of storm Desmond cheerily singing out their carols in a slightly soggy castle, the Christian Union are already back in full swing, planning and preparing for their next big event. It may not have gone entirely to plan, but it seems a little rain can’t stop them, and they are back to busy preparations, this time not for one night but a full week packed with a variety of events from talks, free lunches, acoustic nights and dessert buffets. In week four of this term, the Christian Union will be putting on a week of events entitled ‘The Search’ with not only a lunchbar (with free lunch everyday) while exploring the big questions of life, but they will also be taking over Apothecary bar in town on Monday, Tuesday, Thursday and Friday evenings to bring the students of Lancaster a music night featuring local acoustic band ‘Difference’ and two dessert evenings to get your taste buds tingling – all for free entry. Have you ever wondered if science has buried the idea of God? Or just how to make sense of suffering in the world we live in? These are exactly the kinds of questions the Christian Union will be asking in their search for truth, answers, satisfaction and authenticity. If you’ve ever wondered what it really means to be you or why we are even here, go check out the Christian Union in week four, whether it be to search for answers or simply to debate your own opinions. Do you really believe everything happens for a reason? Do you believe there is such a thing as true freedom or absolute truth? Then join the debate as the CU welcome UCCF speakers Ali Reid from Oxford and Jamie Haxby from here in Lancaster to shed some light on these captivating issues. UCCF is a national organisation dedicated to helping Christian Unions in their outreach and mission and Lancaster Christian Union is just one of hundreds of CUs around the country putting on large-scale events weeks this term. It is a national initiative in which students from all universities will be approaching term with the aim of making their society known and raising awareness of their faith and purpose, as well as tackling the big questions in life. So see how Lancaster put their own spin on things with ‘The Search’; after all, aren’t we all searching for something? 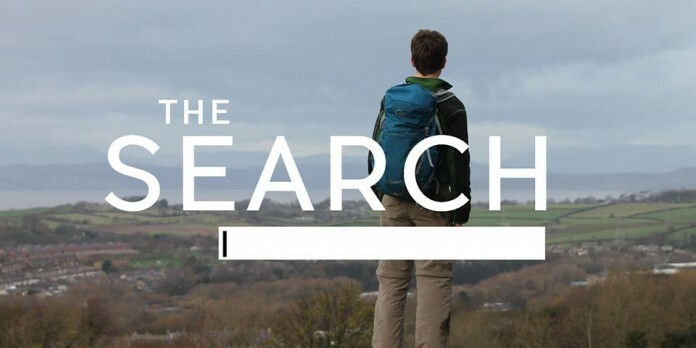 For more information on ‘The Search’, visit the Facebook Page facebook.com/thesearch16. Previous articleMore to life than campus!